Continuing on the “If you go down to the woods today…” theme, here is another picture taken just last week in Garrydufff Wood on the edge of Cork City. 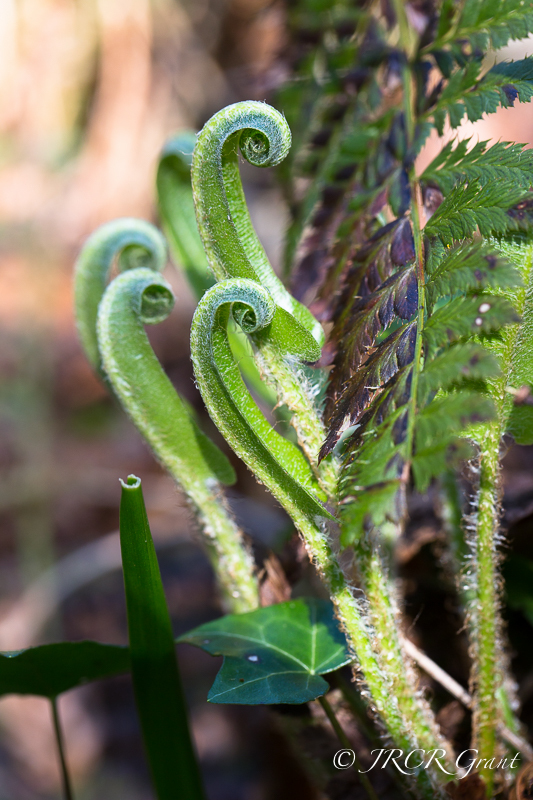 Immediately it seemed to me as if they were an orchestra of ferns springing to life in the April sunshine. It does indeed! You as well, Sir! Bowed heads and all, beautiful.